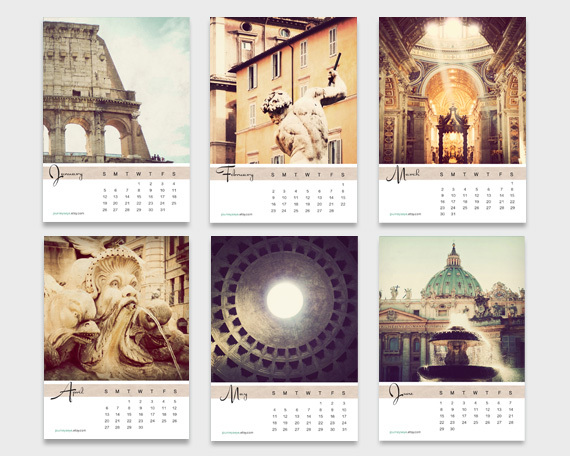 When I was trying to decide on a city to feature in a calendar, my mind kept returning to Rome. That city is so beautiful and magical, what better place to dream about the whole year through? Like what you see? You can purchase your own calendar here.